Eczema, also known as dermatitis, is inflammation of the skin, together with itching, redness, flaking and dryness. Especially if scratched, patches of eczema may develop weeping sores. This nasty but common affliction can be treated with a number of natural remedies – many of them cheaper and less likely to have harmful side-effects than pharmaceutical treatments. 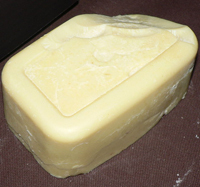 Cocoa butter is widely used by those with healthy skin just because it makes the skin soft and aromatic. Because it’s such an effective moisturiser, it’s also useful for preventing and treating eczema. It’s best to use cold-pressed cocoa butter, which is purer than other forms and keeps for long periods without requiring artificial preservatives. Simply apply a thin coating of the butter to affected areas before sleep. Vitamin-rich almond oil contains compounds such as ursolic acid and oleic acid, which are useful for treating inflammation and repairing the skin barrier. It’s best to apply a layer to inflamed areas an hour before a bath. Leaving it on for too long periods can actually over-moisturise the skin. Buchu, a herb proven for its anti-inflammatory, antibacterial and anti-fungal properties is a useful and effective treatment for eczema. Its anti-inflammatory and antiseptic properties prevent secondary infection of sores due to scratching eczema-affected areas while the naturally occurring bioflavonoids and antioxidants promote healing of the skin. Buchu is rich in the bioflavonoid compounds rutin, quercitin, hesperidin and diosmin, all of which are known to play a role in reducing pain and inflammation. 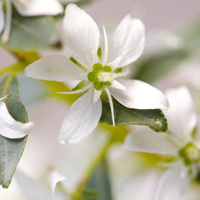 Buchu also has naturally occurring antihistamine properties which assist in relieving itchiness associated with eczema. Cod liver oil is an excellent source of healthy fats for the body, helps to reduce inflammation and encourages healthy hormone, cell and brain development. It’s also thought to be useful for helping prevent eczema. The oil can be taken in capsules or mixed into a high-vitamin butter oil blend for rubbing directly onto affected areas. 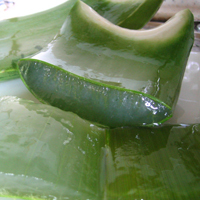 Aloe vera is commonly used to treat burns and other surface damage to the skin, and has been shown to speed up the healing of wounds. It’s also excellent for calming a flare-up of eczema. Avoid aloe vera creams, however, because they may come mixed with various chemicals and alcohol that could further irritate sensitive skin. Rather use aloe gel or even obtain actual aloe vera leaves, keep them in your fridge and apply the gel from the leaves directly. A tried and true remedy for eczema that’s wet or weeping is to spend a day at the beach. The salt water and sun helps dry out the affected areas. If you aren’t lucky enough to live near the beach, a simple home-remedy of salt and magnesium in water can have the same soothing, healing effect.